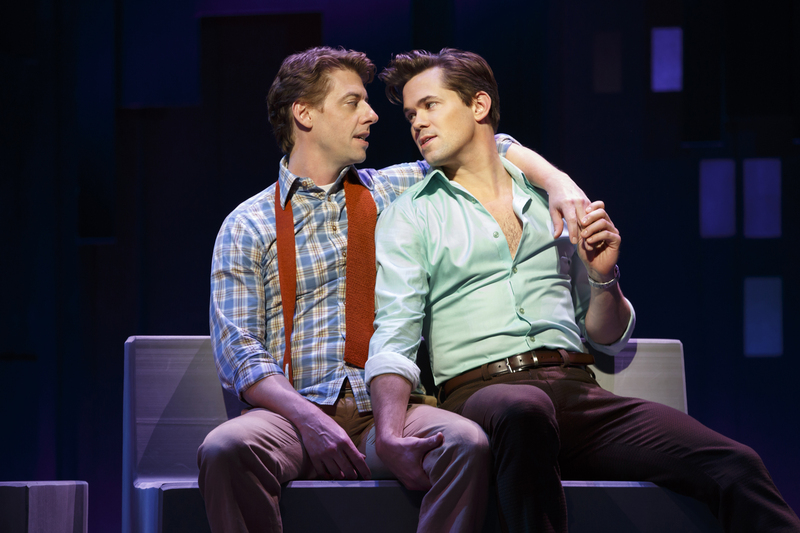 Hailed as “miraculous” by The New York Times, Falsettos, the seminal 1992 Broadway musical about a gay man striving to create a modern family, will be featured on Live from Lincoln Center. It will air Friday, June 1, 2018 at 9 p.m. on WXXI-TV. The Lincoln Center Theater production, brought to Broadway in association with Jujamcyn Theaters, stars two-time Tony Award-winner Christian Borle as Marvin, who leaves his wife and son for man, along with Tony nominees Stephanie J. Block and Andrew Rannells, as his ex-wife and lover respectively. Anthony Rosenthal, Tracie Thoms, Brandon Uranowitz, and Betsy Wolfe round out the cast. “There’s hardly a moment in the exhilarating, devastating revival of the musical Falsettos that doesn’t approach, or even achieve, perfection,” raved The New York Times.